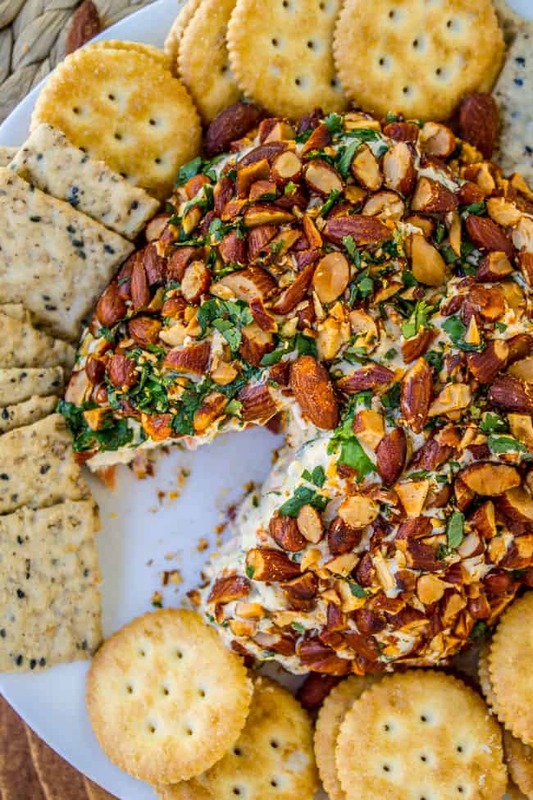 This cheese ball is perfect for parties because it’s easy to throw together ahead of time. 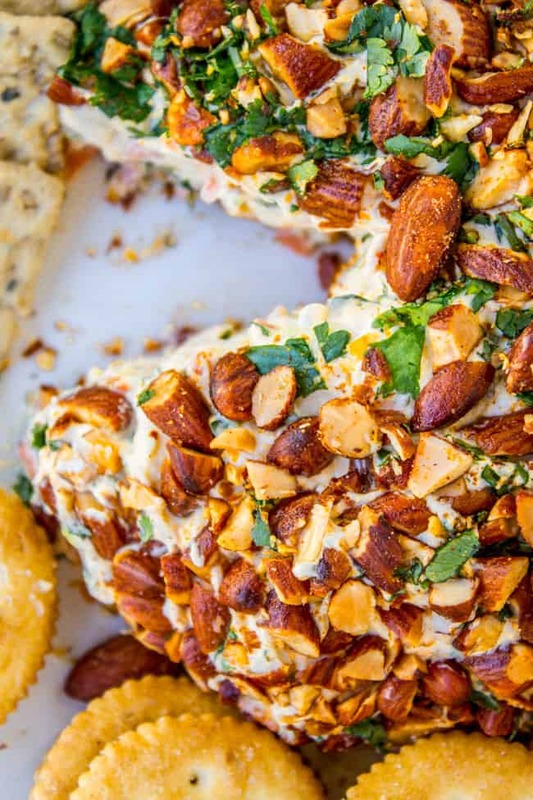 All the comfort of a cheese ball but with an Asian twist: coconut, lime, ginger, and Sriracha almonds! “Yeah, but I mean, now it actually looks good.” Oh, so you mean that my hair has basically looked like a 4-year-old braided it for the last 2 years?? THANKS Sandi. You tell me now. Does one genuine compliment today cancel out the two years worth of backhanded compliments you just dealt? PS, In totally unrelated news, I spent the entire morning YouTubing braiding tutorials. Tomorrow we are headed out to Utah for Eric’s sister’s wedding. Which means that our fridge is purposefully empty. Which means that when I opened it to figure out dinner (way too late) last night, all I could see was a shining, glorious Asian cheese ball, and part of me said to myself, you can’t feed your children cheese for dinner, and then the other part said, it has almonds and carrots, that’s healthy. Dinner, DONE. No regrets. There is coconut cream mixed in, not to be confused with coconut milk. Coconut cream is thicker and solid at room temperature (see note). I love the undertone that the coconut adds. The chopped Sriracha Almonds are the cherry on top! Yes, that’s right, I said Sriracha Almonds. Awesome right?? They are SO good. 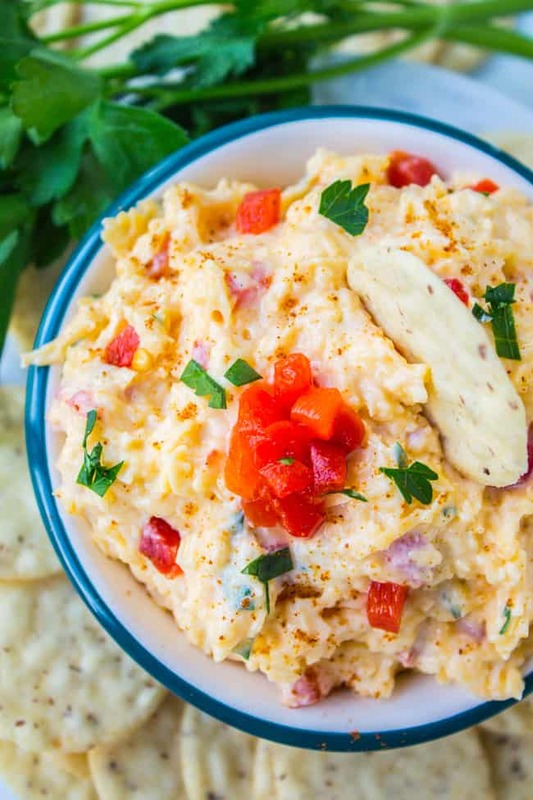 In a large bowl or stand mixer, combine cream cheese, coconut cream, onion, ginger, garlic, carrot, salt, Sriracha, lime zest, cilantro, and black pepper. When it's all mixed together, spoon the mixture into the center of a large sheet of plastic wrap. Pull up the sides of the plastic and twist, or tie with a twist tie. 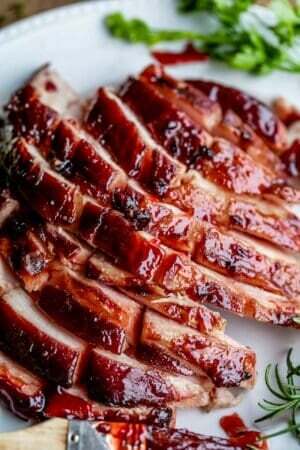 Refrigerate for 2-3 hours. Chop the Sriracha Almonds to the level of coarseness that you want them. Chop the cilantro. Spread the chopped nuts on a plate and add the cilantro, mixing it together a little. Unwrap the cheese from the plastic. 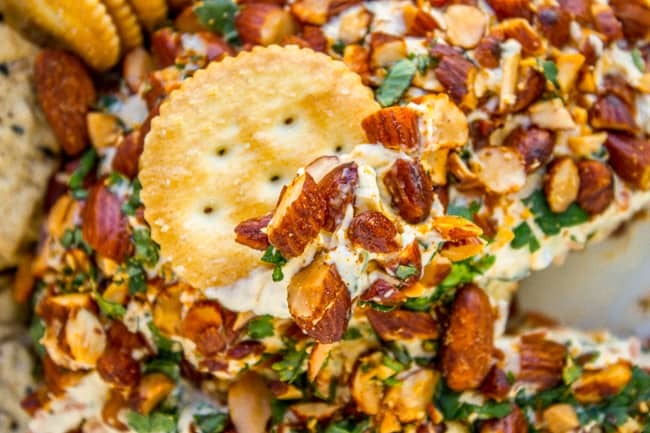 Place the cheese ball on the nuts and cilantro, and flip or roll it to coat the outside with nuts. At this point you can wrap it again to save for later, or serve immediately with crackers. *Coconut cream is NOT the same as coconut milk. It can be found in the Asian aisle at most grocery stores. Also, I like the flavor that the coconut cream adds, but I think it would taste fine if you left it out. The recipe as written makes a pretty soft cheese ball; it will be softer than the consistency of cold cream cheese. If you are short on time add less coconut cream so that it sets up faster. This post is sponsored by Blue Diamond Almonds. All opinions are my own! Thanks for supporting the brands that keep The Food Charlatan going! 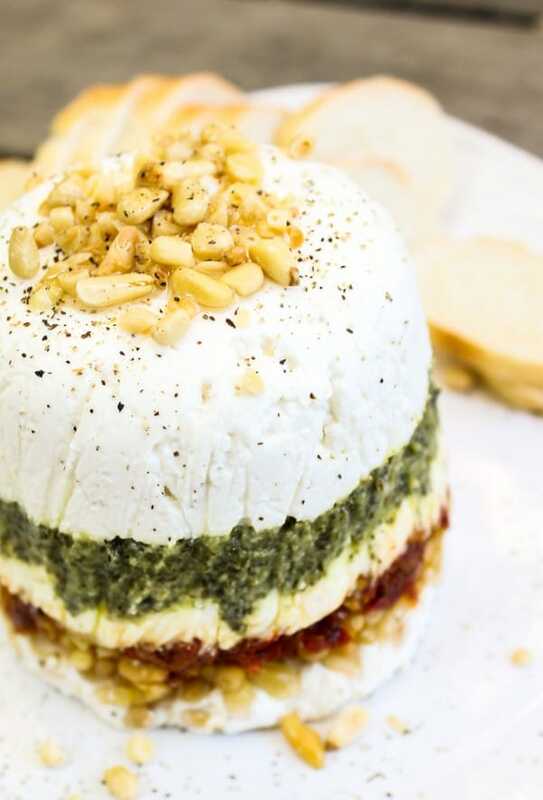 I have been looking for a cheese ball recipe for a while! Tried this and we all love it! 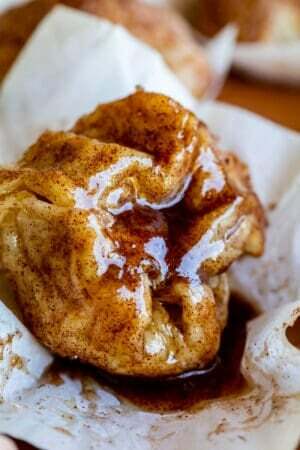 I have made it several times and it is now a family and friend favorite!! Thank you! These almonds quickly became my life after just one bite. On a cheese ball…somebody hold me! This Asian twist is amazing! I wish I could french braid! Teach me your secrets. :) Cheeseballs are the BOMG DIGGITY. lmfao i’m sure your kids were extra happy! this post made me laugh! Cheeseballs are my weakness! And sriracha almonds? Give me all the cheeseball. girl, if it makes you feel any better, I don’t even know how to french braid .. so sad. . 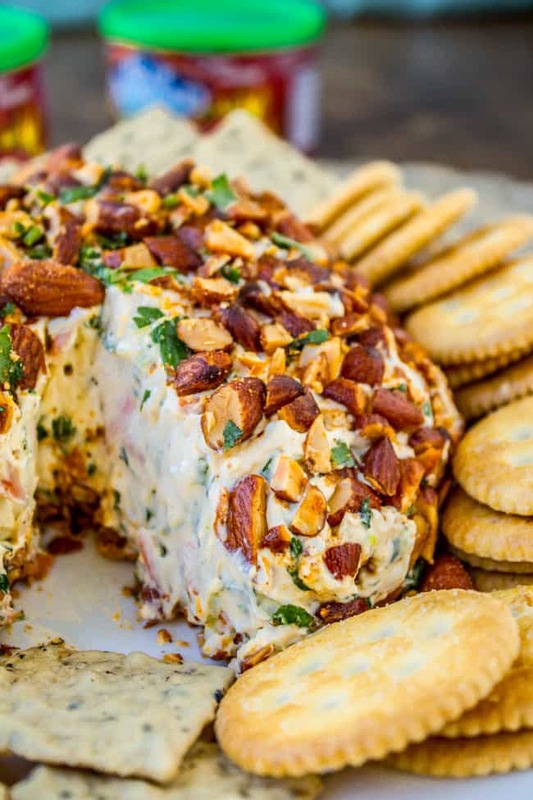 I need to watch those YT videos and eat this fabulous cheese ball!!! LOVE the Sriracha Blue Diamond Almonds!!!! Whoa this sounds like one fantastic cheese ball! 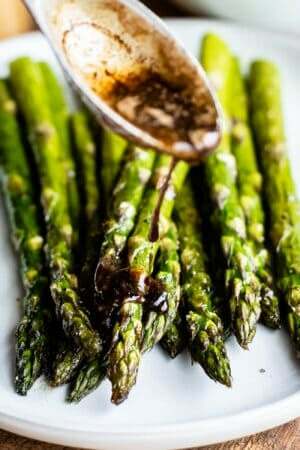 I love all the ways you got the sriracha flavor in! I’ve never added coconut cream to a cheese ball before – I need to try that asap! Mmmm….cheese spheres. That just doesn’t have the same ring to it. 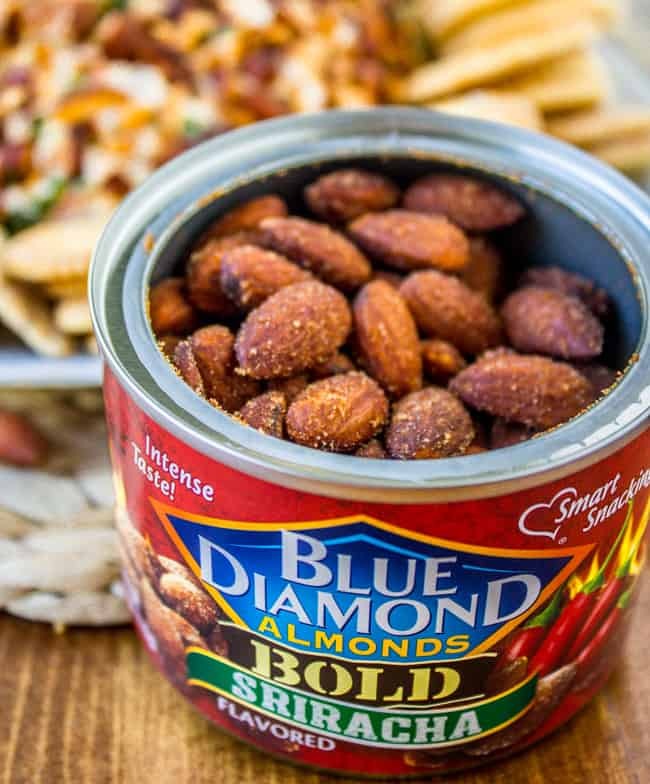 Love Blue Diamond Sriracha Almonds. This would totally be an acceptable dinner if I was the one making all the rules! Have a great trip! Yeeeeah I think you’re right Liz. Cheese balls for the win! Bahahahah yes, cheese balls are hard to take seriously when you say cheese balls. Buttt, I’ve never met a cheese ball I didn’t like, plus anything with the combo of sirracha, cilantro and lime has my heart! Ha! I’m experimenting with mine today. That is, if I don’t just eat the entire container. Ohmygod. I love them. And I LOVE what you made. Nailed it! OH MY GOODNESSS! 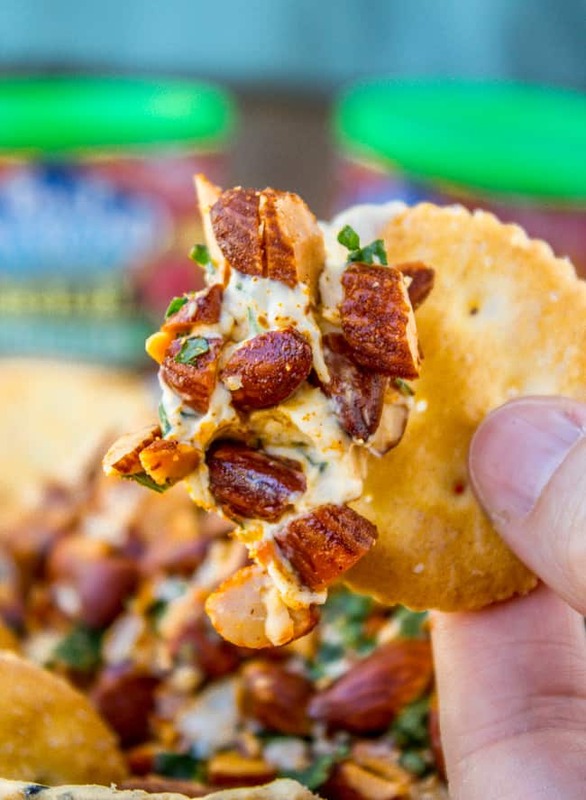 This sounds incredible and those sriracha almonds! Wow… totally a show stopper. Cannot wait to try this and I know my husband is going to love it! OMG this looks amazing!!! And yes, it is perfectly acceptable to feed your children a cheese ball for dinner, lol! 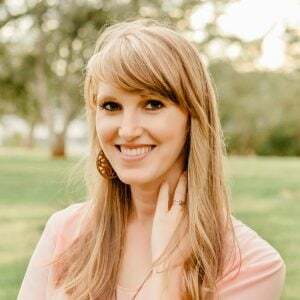 Thanks for the link love – sharing this! Um, cheeseball for dinner is totally fine! I love this cheeseball, something different from the regular ones you always see! 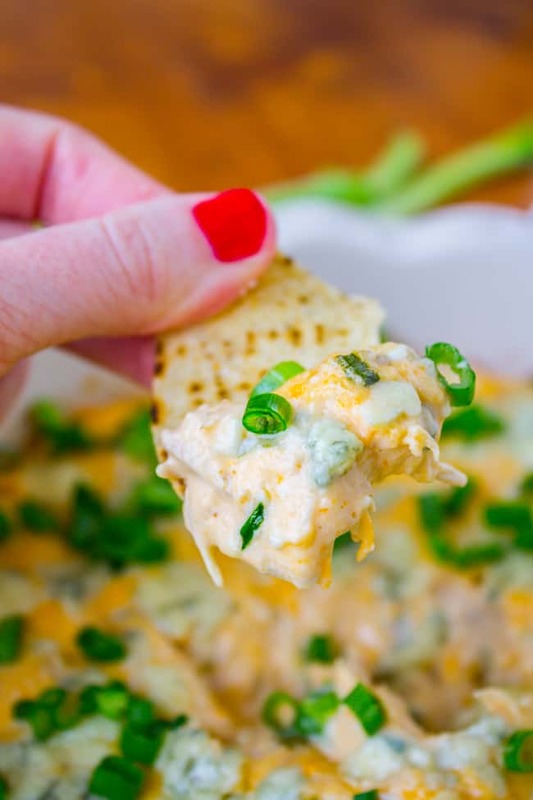 I am literally the biggest Sriracha fan (and my 11 year old loves it too)… this looks and sounds so yummy, I’ll be giving this a try!! I’m impressed that your 11 year old loves spicy Sriracha! That is awesome! You know what’s crazy? I have NEVER made a cheese ball! I know, worst food blogger ever! BUT I am obsessed with anything almond and anything sriracha, so this is happening! Pinned! Not only is it okay to serve cheese balls for dinner, I think it should be REQUIRED from time to time! 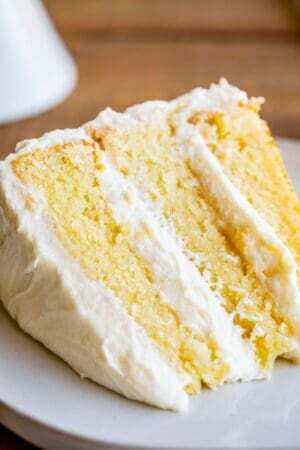 And this one looks fab – I mean, coconut cream! YUM.